All the websites on the internet have given wrong placement process and CTS Interview Process for 2018. The issue with these websites is that they don’t update their pages. While, we at PrepInsta our main focus is to provide the latest information to students. Cognizant Placement Process for 2018 is very weird and complicated to understand, this post will cover everything that you need to know about CTS Written Test Process for Online Test paper and also, the Cognizant Interview procedure. Cognizant Placement Process 2018 varies depending on, if the process of on campus or off campus and also the package, if the package is ~ Rs.3.38 LPA or Rs6.5 LPA, you will find all information about the same on this page. This page may be outdated check the latest Placement Process here on this page. Cognizant Placement process for Programmer Analyst trainee role (on campus hiring) is as given below. 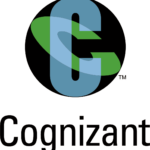 Cognizant hires a good number of candidates for this role each year. The candidates who get selected for this role will be trained at Cognizant Academy for a period of 4 months post which they will join the project teams. For 6.5 LPA they only visit a few reputed campuses in India. What is Automata Fix? What sort of questions can be expected? Candidate needs to fix all errors in a given code. Candidate needs to correct the syntax of the given code without changing its logic. Candidates need to complete the given code by reusing existing functions in the code. Note: Certain times Cognizant excludes the coding test for this role during its recruitment process if it is not via AMCAT. Cognizant has recently excluded coding test for a campus pool drive in April 2018. But there is no guarantee if this would happen in other CTS selection processes. So you need to be prepared for the coding round to crack the CTS selection process. How to Prepare from this? Just visit our CTS Preparation Dashboard you will find a lot of common questions in the exams as well. The best way to prepare for a Cognizant recruitment process is to have a look at the previous Cognizant Placement papers. Since these are very important, we are providing all these for free. Study for CTS recruitment Process section wise. Apply for AMCAT Employability test(visit myamcat.com for this) – Have to pay 1000Rs to AMCAT for this. Apart from this there is Coding Test which in which there are two questions you should get atleast 1 complete output to go to the next round. Documents required – These documents should be with you when you appear for the selection process. Carry originals along with their photocopies. Consolidated marksheets of graduation or post-graduation. Whichever is applicable. If you haven’t graduated yet, then you can carry along the most recent marksheet. MeritTrac not used anymore. But still read for interview. Verbal Ability: Had 25 questions which were to be completed in 25 minutes time. It had questions related to basic English, such as synonyms, antonyms, comprehensions, etc. Quantitative Ability: Had 16 questions and the time limit for this section was 16 minutes. This section had mathematical questions on topics: number system, pipes, and cisterns, profit and loss, time and work, speed and distance, etc. Reasoning ability: This section contained 14 questions on data sufficiency, arrangements, coding, and decoding, etc. The time limit for this section was 14 minutes. The test had moderate difficulty, and most questions were similar to the ones posted on PrepInsta, so, I was comfortable with the test paper. Also, MeritTrac used the adaptive method of test in which the difficulty of the questions gets altered as per student’s ability. The sectional and overall cut-off for the cognizant written test was 65 percentile. I cleared the cut-off and therefore, was eligible for the subsequent rounds. The technical interviewer had a grim expression when I entered the room, so I was bit scared at the first instance. Bust as soon as our conversation started; I was very comfortable talking to him. He asked me questions on the fundamental of C, C++, JAVA, DBMS, OS, and my major project. What is the difference between pass by value and pass by reference in c? Name the type of joins in DBMS. Define normalization and specify its types. What was your role in your major project? I knew all the answers, so I answered confidently. Mainly, the interviewer was testing my fundamental knowledge and communication skills. So, my confident answers helped me to clear this round, and I was sent for the HR interview. Why do you want to join Cognizant? Do you want to pursue higher education? Then the interviewer asked if I was comfortable with night shifts and relocation. I agreed to it. He said, very well, we are done for the day. You will be notified of the result later. Two days after the interview, the result was announced, and I was selected. It was the best moment of my life. The entire process takes quite a long time of two weeks if you cross through all the milestones. This round played a vital role in the selection process. There were total four sections namely, Quantitative Aptitude, Logical Reasoning, Verbal Ability, and Coding. The last section, “Programming” was not of much importance. It was essential to score 75% aggregate and 60% in each section to clear the AMCAT Online Test. 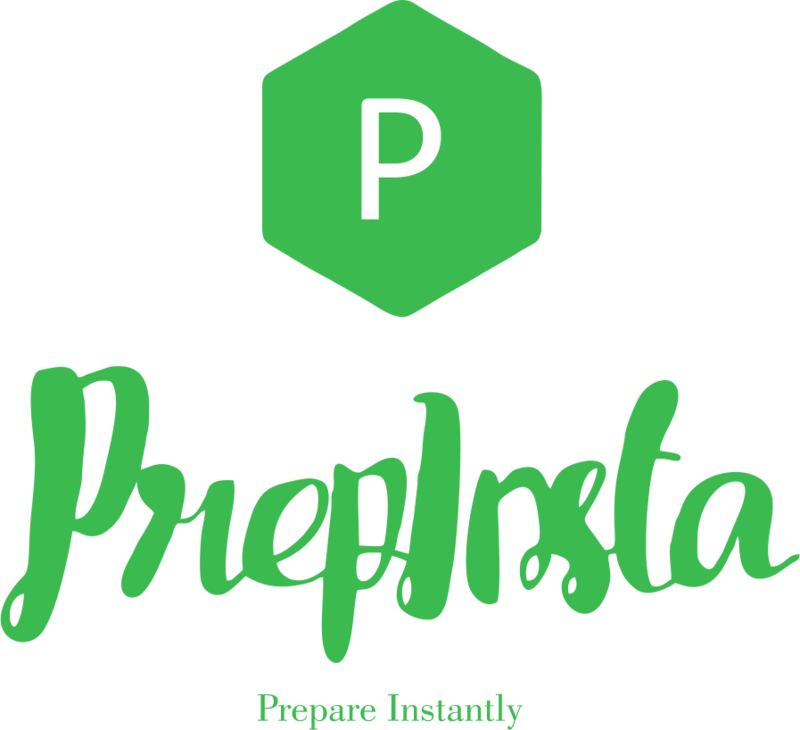 For passing the test, it was sufficient to walk-through PrepInsta practice questions. There was no negative marking across all the sections. I was shortlisted in the first level, i.e., AMCAT off-campus drive. It was after a week when I received the mail of getting selected. The best part about Automata AMCAT coding round was that one can appear for the test while sitting at home, college premises, or any cybercafé. But, while giving the test, it was mandatory to switch on the webcam audio and video for the authorities to assure that there is no cheat or invalid means adopted for clearing the round. The round combats two questions that need to be answered within a time frame of 60 minutes. The first questions were about creating a star pattern and second questions asked for forming a harder pattern. Therefore, the difficulty level of both the problems was different; one was easy while other was tough to solve. I could quickly answer both the problems as I practiced them before. Again, thanks to PrepInsta. A week later, I got and email saying that I got selected for the interview rounds, i.e., Technical and HR Round. Tell me about your project? How many team members were there? What was your role in the completion of the project? Did you face any difficulty while doing the project? And how did you resolve it? Write a program to print first 10 Fibonacci series. Overall, the interview was good. I was expecting a positive response and thereby, looking forward to the next round of HR. After I was done answering all the questions, the interview smiled and said, “All the best for the HR round.” Smiles allover. Well, I took hardly 15 minutes in one-on-one conversation with company HR. He kept a few questions, such as why should we hire you, what are your strengths and weaknesses, etc. Despite checking the accuracy and appropriateness, the questions were merely to test the confidence level and communication skills. In the end, he gave me a sheet of paper and asked me to read the last line and if I agree then sign on it. I was delighted and signed on it. He told me to wait for the orientation session. It was after a week that I received my joining letter. I think that it is essential to have a good command of technical concepts and communication to clear the interview. The training and placement officer of our college informed us that Cognizant Technology Solutions (CTS) had introduced a new job role known as the Associates for the 2018 batch. The salary package for this designation is approximately 6.5 LPA. On hearing about such an opportunity, everyone applied for this post. Since too many students registered for the event, a pre-screening test was conducted to retrench candidates. The pre-screening test on Hackerrank. In this test, 2 coding questions of varying difficulty levels (easy, medium, and difficult) were given. Approximately 800 students participated in this round out of which only 100 qualified for the next round. I completed two questions fully and one partially. Luckily, I was one of the selected candidates and so was eligible for the Cognizant campus rounds. Cognizant employs a 3 round selection process in its drive. English: Had 22 questions which were to be completed in 18 minutes time. It had questions related to synonyms, antonyms, comprehensions, etc. Critical Reasoning: Had 15 questions and the time limit for this section was 20 minutes. The questions were easy in this section. Data Interpretation: There were 10 questions in this section, and they were a bit tricky. Debugging: The questions in this sections were related to finding errors in the code, and they were a bit difficult. Automata Programming Test: This section had 2 coding questions of high difficulty which were to be completed in 60 minutes time. Find an index in an array such that the sum of elements at its left side is equal to the sum of elements at its right side. Overall the aptitude test was of moderate difficulty. However, the programming questions were difficult and time-consuming. I solved one question entirely and the other one partially. Fortunately, I cleared the test and qualified for the technical interview round. The interviewer was a kind looking man in his early forties. I asked for his permission and entered the room. He smiled at me asked me to sit. It was a very warm gesture, which boosted my confidence. He had my resume with him, and he started asking questions from it. Which is your favorite subject? What is the difference between a concatenation of string using ‘+’ and StringBuffer? What is a void pointer? Can you dereference a void pointer without knowing its type? What are dangling pointers? How are they different from memory leaks? Do you know why a manhole is round? The technical interview was difficult; it took around 1 hour to complete. Although I was not able to answer all the questions but was still able to qualify for the next round. What are your expectations from this job? Finally, the HR asked me if I was comfortable with night shifts, relocation, and other conditions to which I agreed. One week later, results were declared, and I was selected. It was like a dream come true for me.